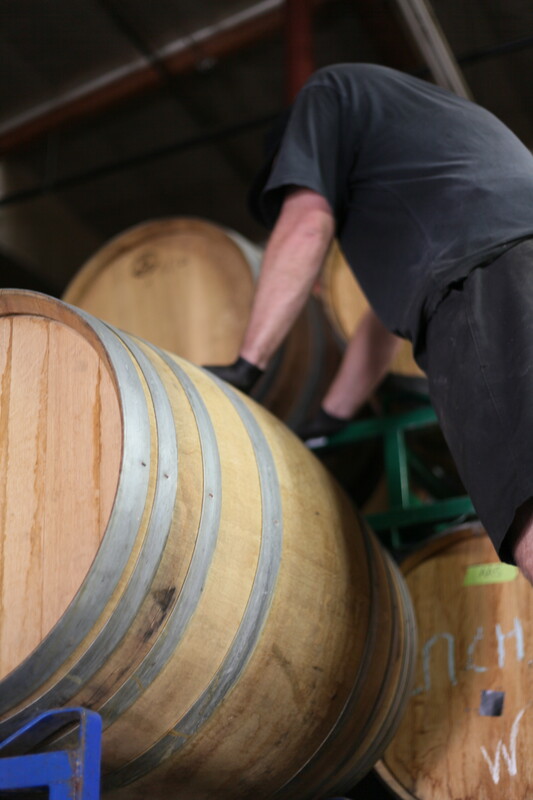 one important task in the barrel house involves the maintenance of barreled beer, which includes airlock, bung, and barrel upkeep as well as periodic sampling of barreled product. although the image of a group of guys with clipboards standing around sampling dozens of labeled beer glasses sounds fun, in actuality it gets pretty labor intensive. first off, there is the challenge of finding barrels to be sampled. even though we initiated a cloud-based shared barrel log that is continually updated with new product, barrels are moved constantly as different beers are selected to be kegged, bottled, fruited, and blended. as a result, BL, DI, and myself are always seen shimmying between barrel stacks with a flashlight for a good portion of our QA time. when you do find the barrel, it is inevitably on the top of a stack, so access requires a little bit of acrobatics and/or forklift maneuvering. once the barrel is sourced, we have to schlep over a bucket of sanitizer with a thief and spare airlock/bung parts for sampling. although I use the “vinnie nail” sampling system in my basement barrel, we at phantom carriage we sample using a wine thief. although this undoubtedly results in more exposure during sampling, my though process is that making sampling more difficult (by having to clean and sanitize a thief) reduces sampling frequency and eliminates meddling by curious passersby. I personally try to minimize interaction with developing beer, dipping into barrels only when absolutely necessary. once the beer is sampled, we label the glass/cup with the barrel identifier and move on until we have a sufficient amount of samples to compare. I usually try to sample similar styles together to make it easier to pick up different nuances between barrels or to see how fruit additions add to the overall complexity of a finished beer. there are various objectives during QA sampling – we can be checking a maturity level of a batch, seeing how bright a fruit addition is in the barrel, and/or picking out flavor and aroma components for an upcoming blend or collaboration. 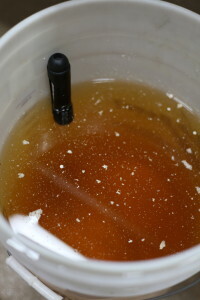 no matter what the objective is, the tools stay the same – a clipboard or notebook for detailed tasting notes, plenty of bread and water (I prefer sparkling) to cleanse the palate, a diverse group of tasters to get a wide spectrum of opinions, a dump bucket or floor drain for handling heavy pours, and a clean glass with some rinse water. 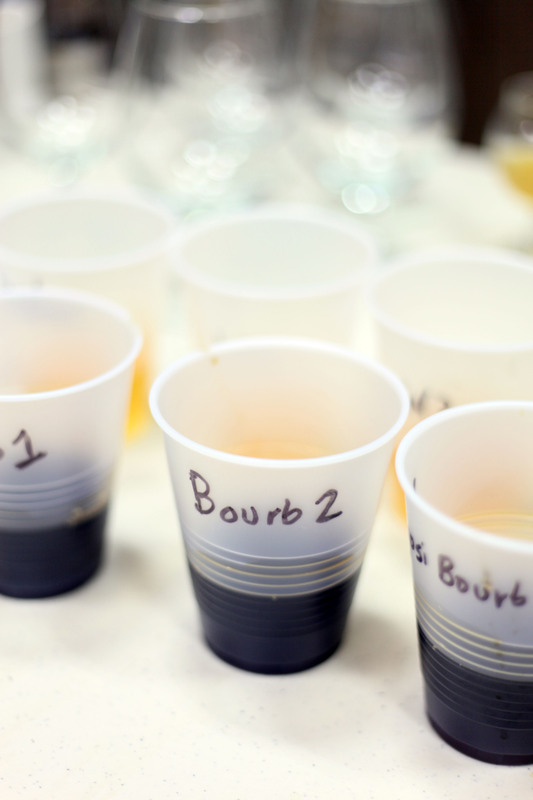 limiting discussion of each sample to a few minutes ensures that the tasting doesn’t unravel, and after a few hours of analysis everyone’s tongues are shot and most people are jonesing for a full pour of a nice pils or session IPA. after filling and sampling from hundreds of unique wine barrels (and a slowly increasing number of spirit barrels), I am happy to report that we have a bunch of fun releases on the horizon, both on draft and in bottles. be sure to check out the phantom carriage website for updates!